Use this form to share a new link about this story with a HuffPost editor. The best links provide new updates or information about the story, or offer context about the issue. Ha! 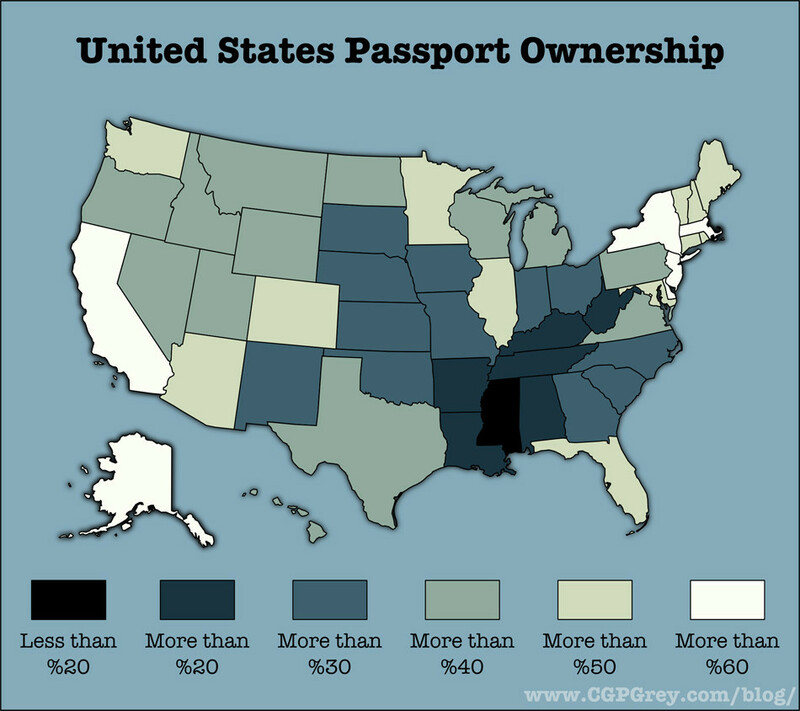 I have been telling TLOML for yonks that 'Americans don't have passports'. Glad to see the proof (and yes, I consider the Euro blog as credible and well researched as any graph in the Economist). Look how my Californian neighbours get out and about though! With this weather/ lifestyle/ good fruit they would be excused never even leaving the state. It's from the Huff Post lovie, so that makes it Cristal clear.